Excellent environmental quality is something we all benefit from and all organisations, big and small, have an important role to play in improving local environmental quality. The Green Business Award: National Environmental Excellence Standard provides an independent audit, assessment and accreditation process as part of your organisation's journey towards sustainability. The award provides a standardised method to assess and benchmark environmental achievement and improvements whilst giving clear insights into your impact on the local environmental and the role of business within the local community. It sets the foundation for an effective and robust environmental management system. The scheme also provides a structure for councils to develop good waste management practice in the high street. 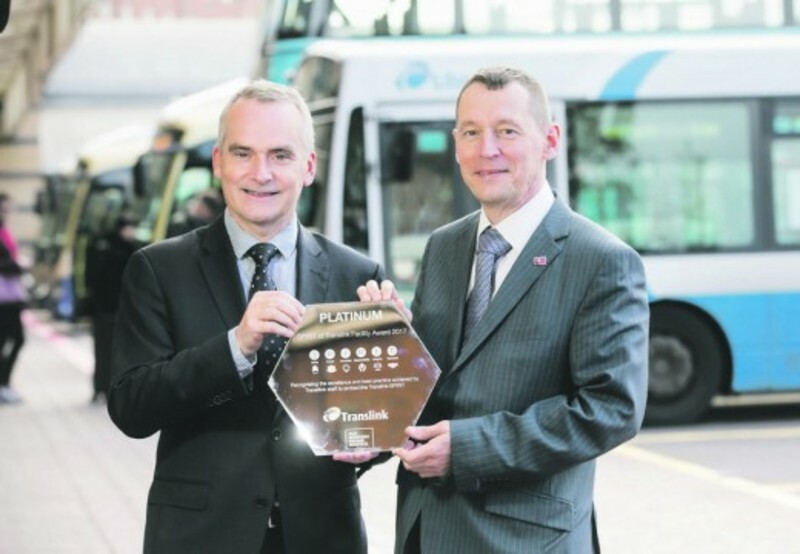 "TIDY Translink [corporate re-brand of Green Business Award] forms an important element of our overall Corporate Social Responsibility approach. It underlines our commitment to caring for the environment and striving for continuous improvement right across the company. Over the past 8 years our employees have made a concerted effort to ensure facilities are open, welcoming and environmentally friendly, and our employees are engaged with their local community." Keep Northern Ireland Beautiful will work with you to tailor the certification processes for any business. This individual approach ensures that each audit meets the needs of an organisation and allows them to input into the process. The Award structure is easy to understand and includes bronze, silver, gold and platinum standards which are given to individual offices or premises. A report is also provided as part of the service, which includes recommendations to help the business improve efficiency and save money. If you would like to know more about or take part in the Green Business Award please contact, Jade Berman at Jade.Berman@keepnorthernirelandbeautiful.org.